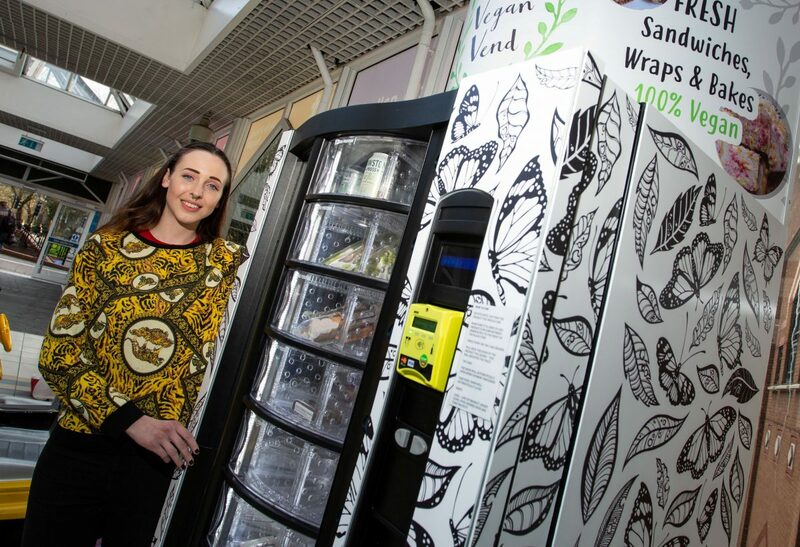 A primary school teacher has set up her own business creating Britain’s first VEGAN vending machine. Remi Toth, 25, turned vegan two years ago and found that most supermarkets did not fill her need for quick, ‘on-the-go’ vegan snacks. So Remi took it upon herself to fill the gap in the market and started up her own line of vegan vending machines. 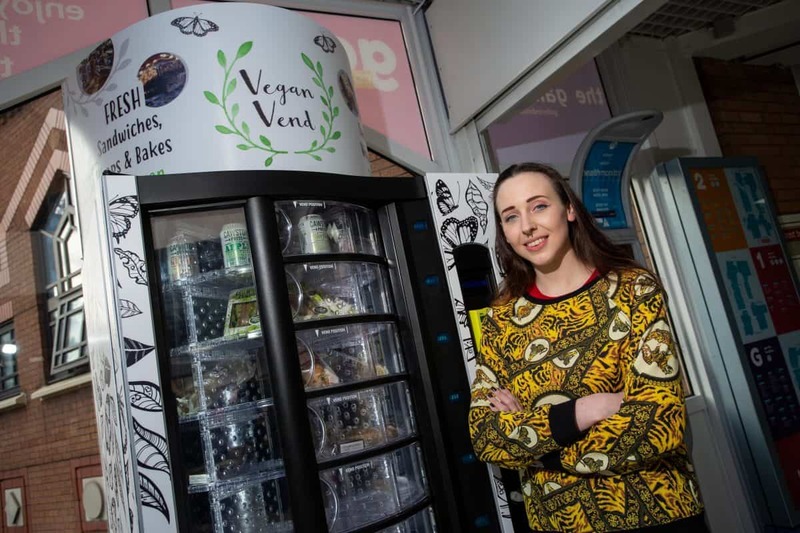 Since December 2018, Remi has opened two of her vegan vending machines in Bristol, each with space for around 100 vegan snacks. Remi, who works as a one-to-one support teacher at a primary school in Filton, South Glos., said: “I wanted to create a place where people could go for a variety of choice. “When I went vegan I found it hard to find quick and easy on-the-go options in supermarkets. 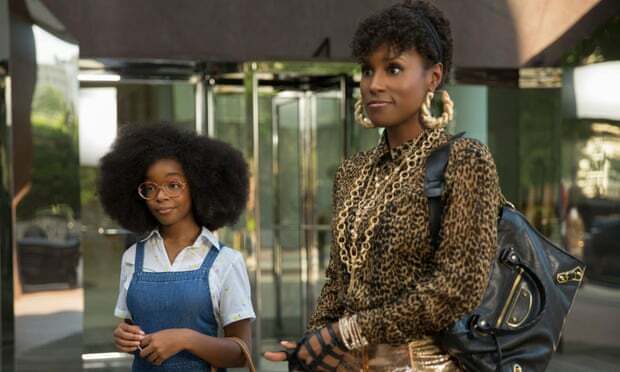 “I wanted to make something where there was lots of room for choices of vegan food – and also to encourage other people who might not be vegan to give vegan food a try,” she added. 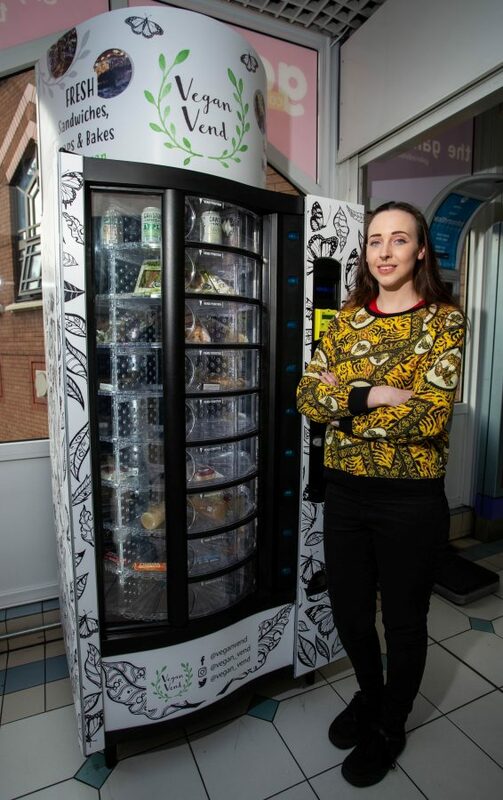 Remi’s ‘Vegan Vend’ machines, which can be found at The Island and at The Galleries in Bristol city centre, feature different designs on the outside from local Bristol artists. And the snacks inside are all sourced from local bakers and food creators. Remi said: “I get all my food locally. A company called The Real Wrap provides me with all the wraps and sandwiches. “There’s a local baker who makes things like millionaire shortbread and Bakewells, and savoury things like pita pockets. Remi’s vending machines are both refrigerated, so all the snacks inside stay fresh. The wraps and sandwiches are restocked every three days if not sold, and the bakes have a maximum shelf life of five days before being restocked. But Remi says she visits the machines every morning before her job at school, to check if anything needs restocking. Her sandwiches and wraps are priced at around £2.95, and most of her sweet bakes are priced at £2.50 – which Remi says are “usual prices” for vegan foods. 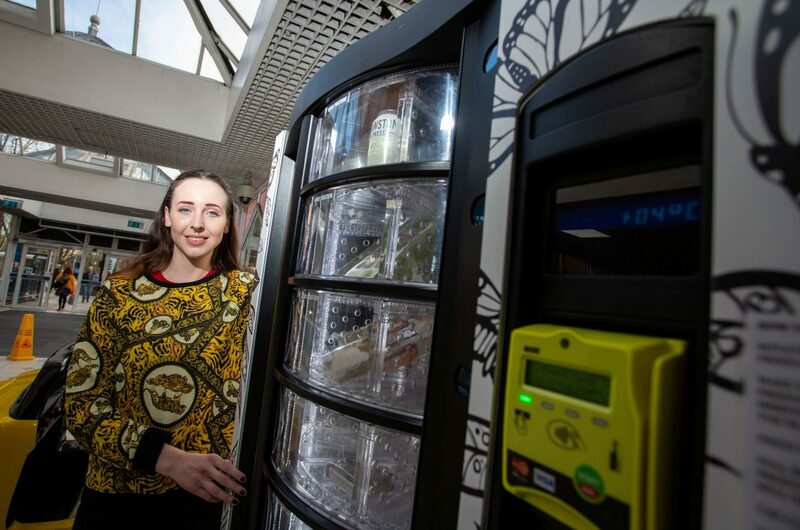 And Remi is hoping to expand her line of vending machines across Bristol, and is even setting her sights on other cities in the future. She said: “It’s been really good so far. People are getting to know about them, and the snacks are selling well. “Even if people don’t buy, I’ve seen lots of people stopping and having a look, which is still good as it’s a good way to spread the word. “I want to grow it and push it more. I’m already looking at getting the next one – although I don’t have a location yet. “The dream would be to branch out to other cities in the future. But I want to get a lot going in Bristol first,” Remi said.